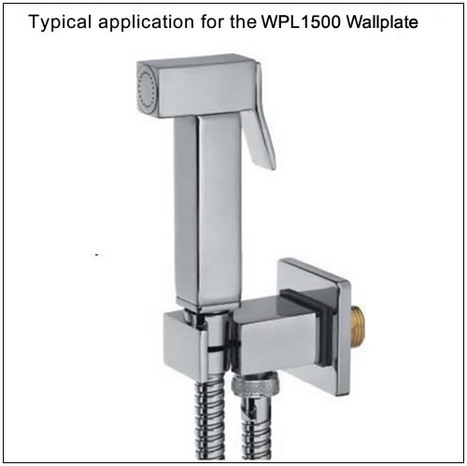 WPL1500: Square wall plate elbow with shower holder. Ideally suited for use with our shower mixer valves to connect the warm mixed water to the Bidet shower hose. To view larger images and additional information, click on the View More Information tab to the left which will the load main page where more detailed information is available. Postage is free with in U.K. & from £5.95 to other countries dependent on location. 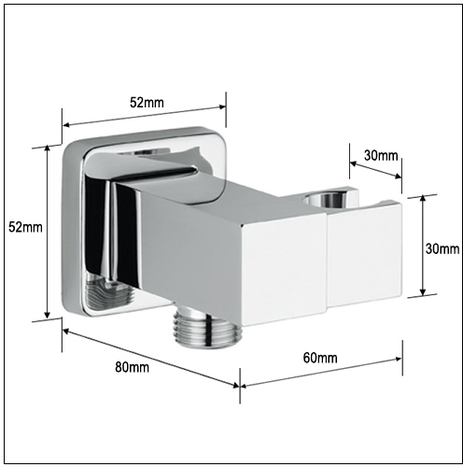 Premium quality solid brass square style wall plate elbow with integral shower holder, compatible with all our range of bidet showers. 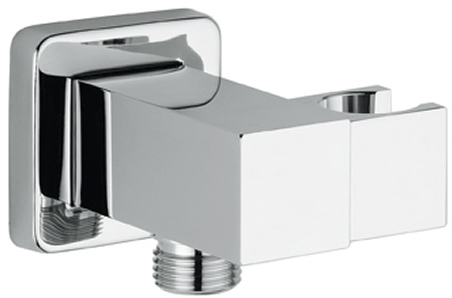 This component is not manuafactured it is engineered in Italy, absolutely the best money can but, superb quality and finish Finished in mirror chrome, ideally suited for use with our MIX4000 and MIX4500 mixer valves . Dual purpose shower holder and a medium for connecting the warm water pipe from the mixer valve to the Bidet shower hose. * Wall plate 52mm x 52mm x 10mm thick chrome on solid brass.